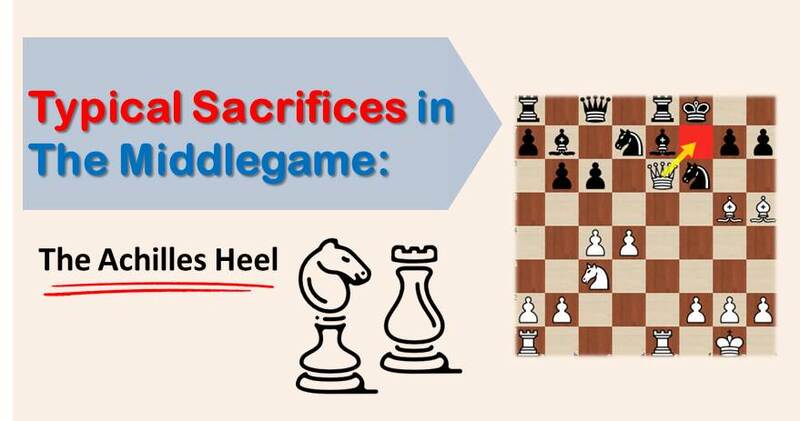 In chess, the f7 (f2) square is well known as the “Achilles Heel” of the position. The name has been given from the fact that this is the weakest point in each player’s camp. If you take a look at every initial pawn square, you will notice that this one is the only one that’s protected once and the protecting piece is not even a strong one, but the king! For this reason, there are many traps related to this particular square and every chessplayer should pay particular attention in their games when it comes to it. One of the most well-known, that everybody learns when they start playing chess (either from a coach or the hard way, for the more unfortunate) is the Scholar’s Mate, where one of the players gets mated on f7 (f2). 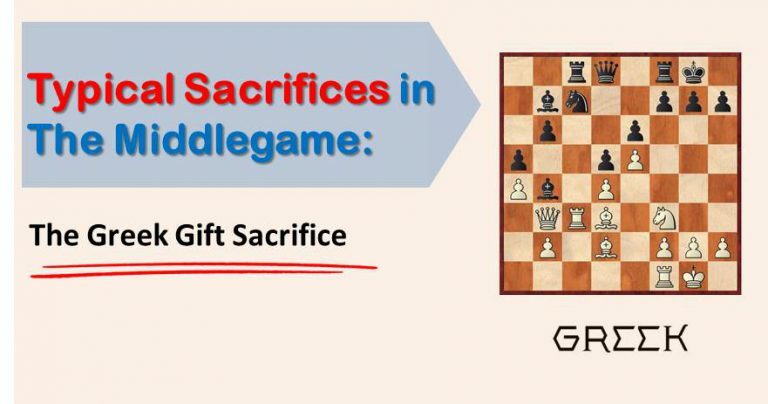 In practical chess, the sacrifice is employed in order to demolish the opponent’s pawn structure and king safety. This is very much needed if you have possibilities of launching a mating attack or one that wins decisive advantage. 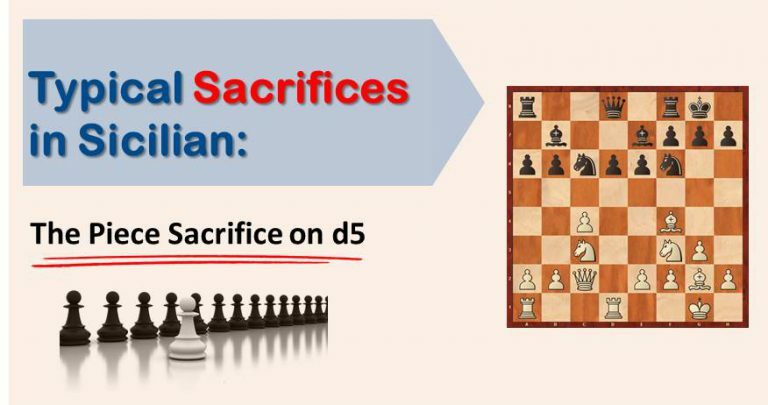 How can you spot a possible sacrifice on f7 (f2)? Lead in development. We have already mentioned the uncastled king, but a very common theme is the threat of trapping the opponent’s queen by playing Ng5–e6 (Ng4 – e3). This usually happens due to slow or bad development of the pieces. We will now show you a few examples where strong players use this weapon against their opponents. In our first example we can see a common piece setup. White has a good coordination of pieces, a strong knight on e5 and severe pressure on the e file and therefore the e6 pawn. Black, on the other hand, is cramped and his move14…Re8? has left the f7 pawn very weak, defended only by the king. It is no surprise that white can take advantage of it. In order to understand how to play middle-games wellit is important to have deep positional understanding. In order to improve your positional understanding we suggest you to sign up for our comprehensive training course. Over 1,000 chess players have already benefited from our training . Don’t wait, start winning chess games today. In our second example we can see the sacrifice on f7 against the king stuck in the center. A bad move by Gata Kamsky, 15…Nd5?, allowed Miguel Illescas to execute a simple, but nevertheless beautiful combination that gave white a winning position. The key factor was the square g5 unprotected, allowing white to transfer his knight from e4 to g5 with check and the capture on e6 later. Here we see a very creative game, starting with the move 13.c5!, creating the conditions in order to make the sacrifice on f7 work. We see that, again, the king in the center and poor development are the key elements that allow white to execute this strong attack. In our last example, Vladimir Kramnik sacrifices his bishop on f7 in order to start an attack against the black king. He immediately obtains a rook for two pieces, but the threats remain on the board and black can’t do anything to stop them. Black was holding the game just fine, but his moves 22…Ra5 and specially 24…Qc5 proved to be fatal. The queen move to c5 left the f7 pawn defended only by the king and white took advantage of it. 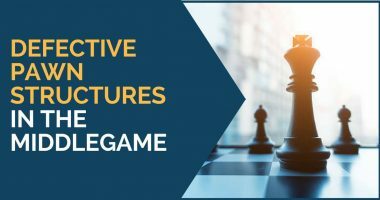 To learn about these any many more middlegame ideas in greater detail with examples from real Grandmaster games and step-by-step explanation enroll in our comprehensive training program.